The worst thing that a woman can face up with is the underarm flab and the fat on the back of the body. 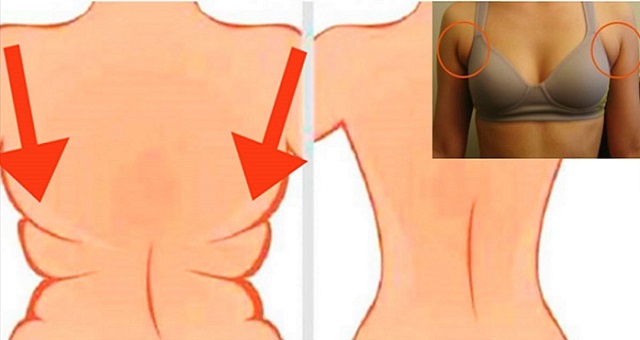 Maybe, the worst thing than these is that both the underarm flab and the back fat cannot be easily removed. Brian Shiers, a personal trainer, from Los Angeles, says that these issues are one of the most difficult to deal with, even though it is claimed that when it comes to these most common issues genetic has the vital role. In this article we recommend you to do 4 beneficial exercises which can help you to look as you have always liked. These types of exercises can be done in a combination with cardio workout exercises and you can also include strength movements. Most of these exercises are mainly for the chest or the front part of the body, and some of them are for the back. So, with intensive training several times a week, you will get amazing results and effects. To add, you should also make sure to limit the daily intake of calories by 500 calories.